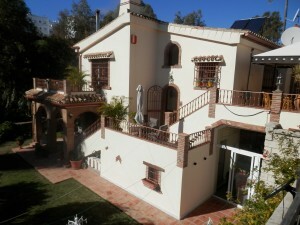 The wowrealestate.net website is owned by WOW Real Estate with CIF B-93.029.338 whose address is C/ Jose De Orbaneja, 35, Mirador de Calahonda, 75, 29649 Mijas Costa (Málaga) . Every effort is made to keep the website available and running smoothly. However, WOW Real Estate takes no responsibility for, and will not be liable for, the website being temporarily unavailable due to technical issues beyond our control. Through this website you are also able to link to other websites which are not under the control of WOW Real Estate. We have no responsibility for the nature, content and availability of these linked websites. The inclusion of any links does not necessarily imply a recommendation or endorse the views expressed within them. Neither WOW Real Estate nor any third parties provide any warranty or guarantee as to the accuracy, timeliness, performance, completeness or suitability of the information and materials found or offered on this website for any particular purpose. You acknowledge that such information and materials may contain inaccuracies or errors and we expressly exclude liability for any such inaccuracies or errors to the fullest extent permitted by law. This website and all contents and services provided on and through this website are protected by copyright, trademark, and other applicable intellectual property and proprietary rights laws, and are owned, controlled, and/or licensed by WOW Real Estate and/or its collaborating partners. Nothing contained on this website grants, by implication or otherwise, any licence or right to use any trademarks, logos, or other names, including, but not limited to, those identifying WOW Real Estate and/or its collaborating partners or their respective products and services displayed on this site, without the express written consent of WOW Real Estate or the relevant party that may own such trademarks, logos and other names displayed on this site. This website and its content is © WOW Real Estate. All rights reserved.